In the quest for fitness and, let’s be honest, the quest for looking good, one of the areas we tend to focus on much is our abs. Most people agree that having nice abs is desirable. But when it comes to how to get such abs, any kind of agreement ends there. So today marks the first time you’ll be seeing one of my athlete guests for a second time. I still have a few more new ones on the books and am always looking for and contacting more. But i think it’s about time we get some different topics from some of the incredible people you’ve already met. If you didn’t see the first interview, my guest was Anne-Marie Campbell is a black belt in Tai Kwon Do and the founder of meat free athlete the popular vegan fitness blog. and, as I may have mentioned before, her abdominal are phenomenal…why don't I just show you? Should’ve just led with that, right? “And then it’s also about consistency. 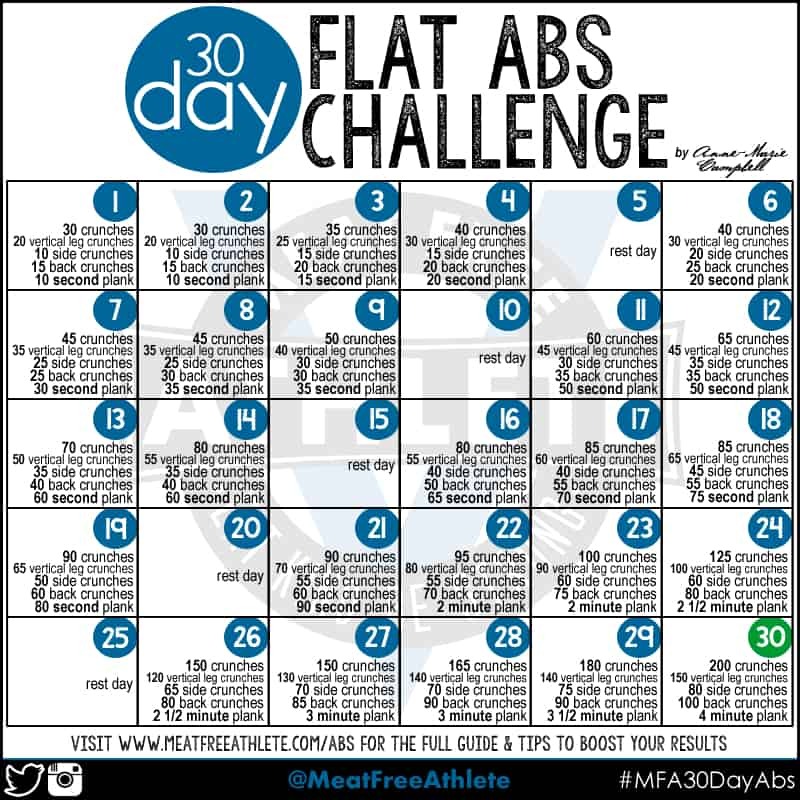 the 30 day guide gets you started [tweet this], so you’re going to be doing them about five times a week. You’re kind of getting into it and there’s a rest day in there each week. Not everyone is going to achieve their goal in 30 days but it’s going to set them on the right path. “Cardio is actually a small key to it but a very small amount. So, you can do maybe cardio 3-4 times a week for maybe 20 minutes or so. … It’s just literally getting your heart rate up that helps for the overall, but you don’t need to become cardio obsessed to get abs. I hope you enjoyed hearing from Anne-Marie on a balance approach to killer abs. you can’t argue with results! 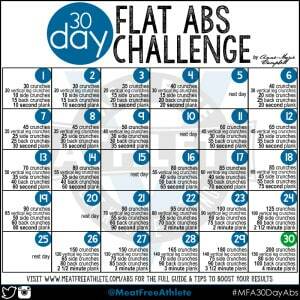 Here is her ab guide calendar. See the links below to the full post on her site and her pro tips post! This video post was sponsored in part by Cronometer where you can track your fitness and nutrition to ensure optimal athletic performance and the kitchen side of your epic ab building. Use this link of the one below to make your own free profile. You can find links to Anne-Marie’s super popular blog and all her social media links below as well. She’s incredibly helpful and responsive to anyone wanting to learn more about veganism and fitness, so definitely check her out. Now, I’d love to hear from you on this. Are you rocking a washboard? Are you wanting to? What do you think of Anne-Marie's non-extreme approach that gives extreme results? Let me know in the comments! I won’t be following you because if you have to use profanity, you are not very smart. where did I use profanity in this video? Hi my name is Jean. I just watch the video on Amaray perfect abs. Which I wish that I will have one day. I am moving again I became a vegan two years ago. I am struggling with getting my weight down and getting those wash board Annmarie abs. Help !! I’m about to get shoulder surgery. Will make it in almost impossible for me to work out the way I am so used to working out. My daughter is getting married in a year I am hoping that I am as fit as I can baby. I am 57 I weigh 178 pounds. Yes I know I’m probably about 20 pounds overweight. I’m struggling with trying to figure out how to get proteins and other than being nuts and tofu . I’m hoping I can get the help from anyone at there they will give me some good ideas. Thank you again. Jean G.